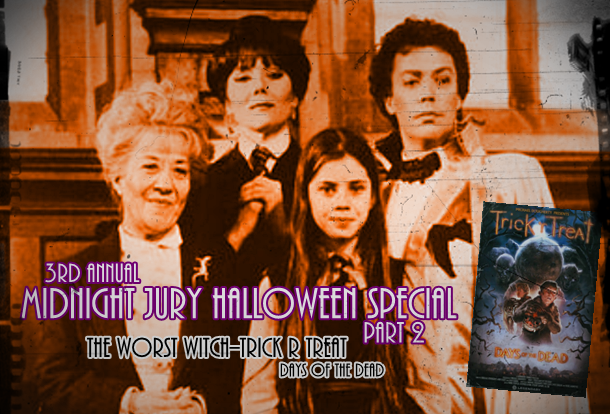 To close out the Halloween specials, the Jury takes you back to 1986 to review the British made for TV movie “The Worst Witch” starring Tim Curry, Diana Rigg, Charlotte Rae, and Fairuza Balk. Then they bring you right back to 2015 to review the recently released comic “Trick r Treat: Days of the Dead”. Happy Halloween.